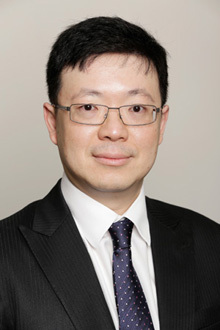 Eric graduated from the University of Western Australia in 1996 with a Bachelor of Laws. He was admitted as a Barrister and Solicitor of the Supreme Court of Western Australia in 1998 and thereafter joined Robertson Hayles Lawyers. Eric has over 20 years of experience in estate planning, probate, the administration of deceased estates and inheritance disputes. He has an in-depth knowledge in these areas of practice and has been involved in complex litigation involving inheritance claims. Eric is a recommended lawyer in the Doyle’s 2018 listing of leading Western Australian Wills, Estates and Succession Planning Lawyers having been identified by both clients and his peers in the legal fraternity for his expertise and abilities in these areas of the law. Eric has extensive experience in the preparation of Wills, enduring powers of attorney and enduring powers of guardianship, provision of advice relating to superannuation funds as part of sucession planning and the utilisation of trust devices to pass property to the nominated beneficiaries. He also specialises in offering advice to those who wish to provide for family members who suffer from a disability which requires a different approach such as the inclusion of Special Disability Trust in a Will. Eric also practices extensively in the area of commercial and property law including all aspects of retail and commercial leasing. Eric is also able to offer advice to strata title owners and those entering into retirement village leases. Eric takes a keen interest in the issues affecting our community and is involved with various community groups. He was formerly a member of the Prisoners Review Board of Western Australia, and is currently the Honorary Legal Adviser to the Bible Society in WA Inc., Drug ARM WA Inc., Young Australia League Inc., Teen Challenge WA Inc., Baptist Union of WA Inc. and 98.5 Sonshine FM Radio. For all enquiries, please contact Eric on (08) 9325 1700 or email him at etan@robertsonhayles.com.